A dog is truly the man’s best friend, as we’ve seen in numerous cases where canines showed loyalty, compassion, and love. But when it comes to picking the perfect dog for your home, many things come into consideration: friendliness, the ability to learn, maintenance, etc. But what happens when your main criteria for picking a dog is fluffiness? Then, of course, you’re looking for the puffiest, cutest, and most adorable breeds in the world. 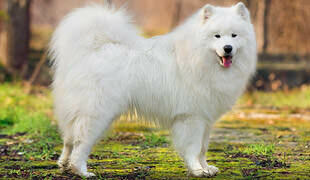 In that name we bring you the 15 fluffiest dog breeds. Why not start off this list with a famous ‘personality’? We present to you the Rough Collie, better known as Lassie, and with it all the fluff you can possibly imagine. 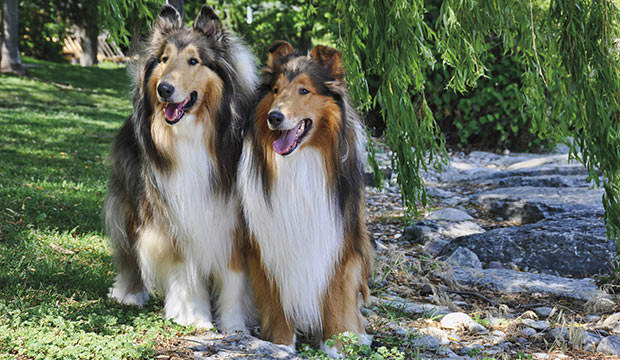 Made famous by the popular movie “Lassie Come Home,” the Rough Collie has a double coat of long, soft, and cuddly hair which earns it a rightful place among the fluffiest dog breeds. However, with great fluff comes great responsibility. Lassie needs to be thoroughly groomed on a two-day basis, mostly because its long coat tends to pick up various small objects from the outside world. But the Rough Collie’s intelligence and shows of affection more than make up for its maintenance demands.